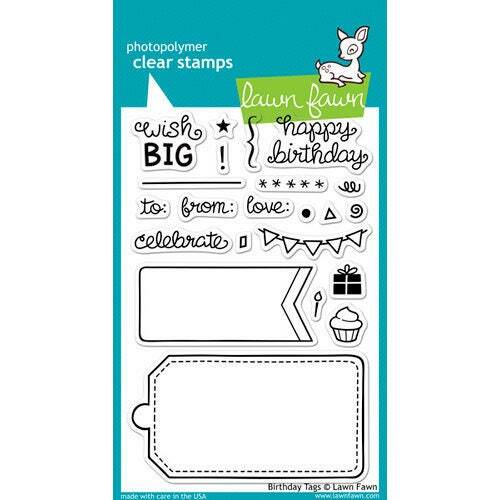 Embellish birthday- and party-themed cards and layouts with the Birthday Tags Clear Acrylic Stamp Set by Lawn Fawn. These stamps are made in the USA from the highest quality photopolymer, resulting in the sharpest stamp images available. Use with any acrylic block (sold separately). The set includes 22 stamps that range in size from approximately .25" x .25" to 2" to 3.75".